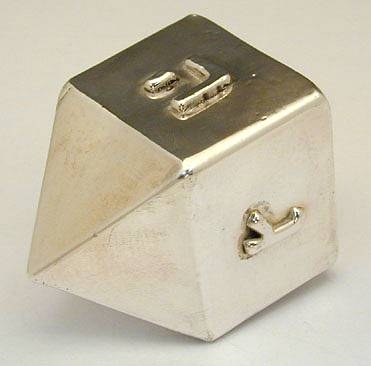 Large Sterling Silver Hanukkah Dreidel,Big Smooth Dreidel \Elegant artisan 925 sterling silver (NOT silver plated) Hanukkah dreidel, Judaica. 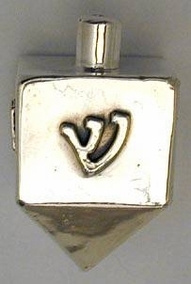 The large square body is beautifully executed in clean smooth design, applied with the Hebrew letters Nun , Gimel , Hey or Shin which stands for Nes Gadol Haya Sham (A great miracle took place there). This item was made in the electroforming method. Measurements: Height: 7cm. / 2.756in. Weight: 68.35gr. / 2.198oz. Marks: 925 for sterling silver.